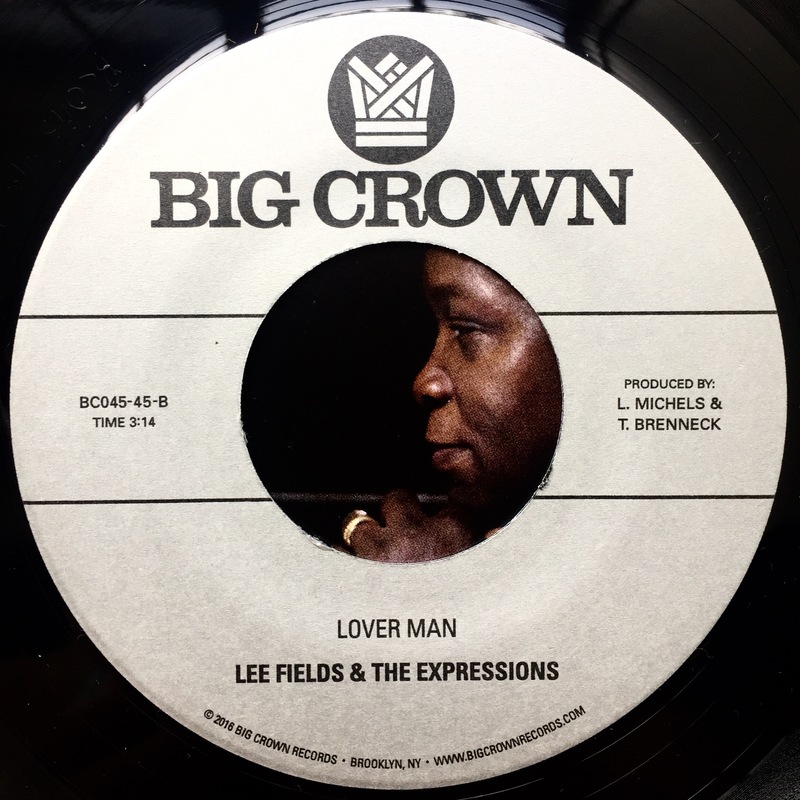 Big Crown Records is proud to present another killer two sider pulled from Lee Fields & The Expressions instant classic “Special Night”. With Lee touring the world from sold out show to sold out show supporting his album, we give the DJs and collectors another must have 45. The A side “Lover Man” is equal parts rough and smooth. The production and the band come off with a thunderous backing track that takes it’s time to get to full sail while Lee lays down some tell it like it is lyrics. Fields comes to the microphone with the confidence only a man with his track record could putting down what life is like with him if the woman he is after just let’s it be that way. The B side “Never Be Another You” finds Lee & The Expressions taking another turn on the formula their success has been built on. An unorthodox track to find on a soul album made to fit perfectly, once again pushing the aesthetics of analog soul further into the present. Lee confesses his love and appreciation for his woman walking the fine line of vulnerability and strength.